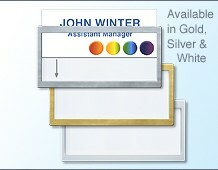 This products lower down this page are for standard (unprinted) window namebadges. 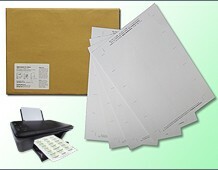 If you would like us to print and personalise these for you, as shown here on the leftl, then please contact us. 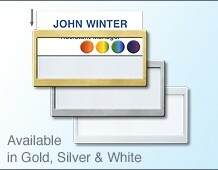 Custom Printed Reusable Window Namebadges. 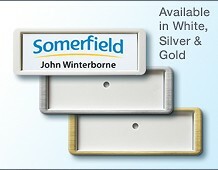 Window namebadges are very simple and cost effective and are boxed in 25s.